Change your point of view! MAS will give a lecture at the University of Verona within the Territorial Valorisation and Marketing Lab. Specifically MAS will discuss about the MAS WEEK and about the public/private collaboration which has the common aim of reviving a complex territory. MAS organizes an international workshop entitled Creative District for Old Town. The workshop is part of the MAS WEEK 2018, an event dedicated to Apulian culture, tourism and tradition, as well as to innovation and sustainability in architecture and design. The workshop will be held in Città Vecchia in Taranto from 10 to 15 September at Palazzo Pantaleo. Call for entries is now open! MAS participates, as a technical partner, at the CinePalium Fest 2017, an international film festival to be held in Palo del Colle (BA) in Italy, from 14 to 18 November 2017. The aim of the festival is to find and publicize films and documentaries that have the shared characteristic of being “Cinema of identity”. The CinePalium Fest – Intersecting Identities is devoted to film that celebrates the process of identity construction of an individual or a community. The Festival also seeks to promote the identity of Puglia and its territory. Puglia is historically a crossing point, of “intersecting identities”, a place with open arms for the meeting of cultures. MAS WEEK, an event dedicated to Apulian culture, tourism and tradition, as well as to innovation and sustainability in architecture and design. The MAS WEEK 2017 will be held in Città Vecchia in Taranto from 17 to 21 October. CHANGE YOUR POINT OF VIEW! MAS inaugurates a new research season focusing on projects on the declining territories of Europe by organizing an international workshop entitled The Form of the Territory. The Appia’s project. Walking a line. The workshop is part of the MAS WEEK 2017, an event dedicated to Apulian culture, tourism and tradition, as well as to innovation and sustainability in architecture and design. The workshop will be held in Città Vecchia in Taranto from 17 to 21 October at Palazzo Pantaleo. Call for entries is now open! MAS will be at the Fiera del Levante in Bari with a conference entitled “Modern Apulian Style: Innovation and Promotion of the Historic Heritage through Architecture, Design and New Media”. The conference will be held on the 16th of September at Pavillon of Regione Puglia IN ITALY/Design IN PUGLIA and will be attended by Giuseppe Fanelli (MAS’s CEO), by scholars, technicians and companies belonging to the MAS Network. The event will continue at the masseria La casa di Gioia in Mottola (Ta) where there will be a cocktail party with the theme “Experiential Tourism: Art, Design and Lifestyle. The Real Apulian Luxury”. During the evening, in addition to the typical wine and food tasting, there will be a focus on the Apulian lifestyle with music, literary readings, videos and an exhibition of objects made by local craftsmen, designers and artists. 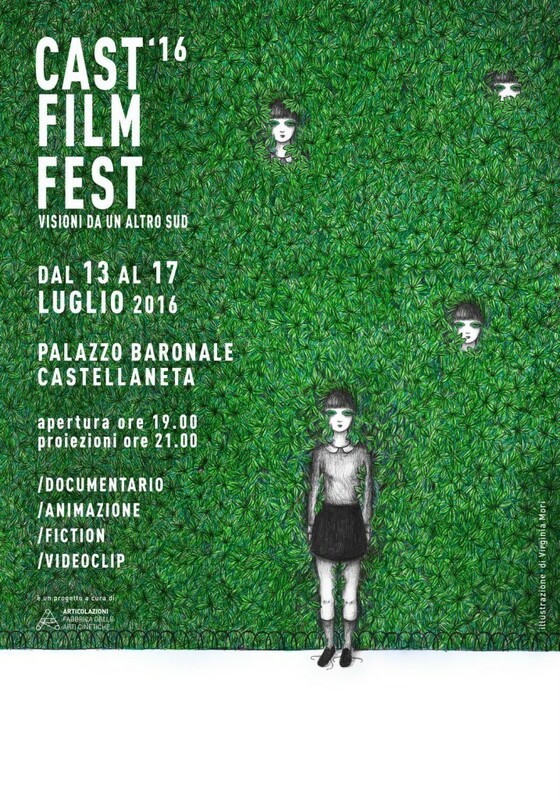 MAS participates, as a partner, at the Castellaneta Film Fest 2016. On the 13th of July MAS’s founders, Carmine Chiarelli, Giuseppe Fanelli, Crispino Lanza, Gemma Lanzo and Francesco Lasigna will present the company. It will also be screened a mini documentary titled “Behind the White Wall” filmed by directors Paolo Rollo and Giuseppe Pezzulla. The film tells the story of some traditional Apulian houses that will be restored according to MAS’s criteria: Sustainability, Innovation and Tradition.